Internet is no longer a proper noun; it’s just lowercase internet. The singular they is the preferred personal pronoun, even in formal writing. In September, the new print Chicago Manual will live with other general-purpose dictionaries and style guides, downstairs at Z 253 .U69. Online, UCI community members can use www.chicagomanualofstyle.org. (Off-campus users: log into the VPN beforehand.) The free online Q&A section also provides gleefully opinionated guidance on style and grammar minutia. Law students should (of course) still consult specialized sources for legal writing like the Bluebook for citation and Bryan Garner’s classic Redbook—among other titles—for grammar and style. In print, both of these titles live upstairs in the KF 250 call number range. 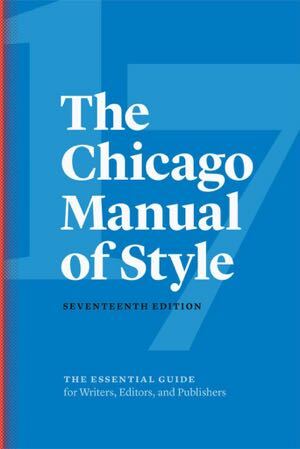 The Chicago Manual, however, can supplement these sources when you’re drafting scholarly papers and other types of writing for a more general audience.